Our Bursary Programme Help us empower the youth We realise the pivotal role that knowledge and skills training plays in alleviating poverty and improving the quality of life for beneficiaries. Last year alone our commitment to development resulted in R24.5 million invested in 1064 students around the country. #GIVEHOPE with SANZAF See how you can impact the lives of others SANZAF has been a source of HOPE to those in need for more than 40 years and our commitment to serving humanity is stronger than ever. Your donations have allowed us to run projects in education, emergency relief, feeding schemes and welfare development, which has impacted the lives of hundreds of thousands across the country. Be an ambassador of HOPE by contributing to one of our campaigns or signing up as a volunteer and join us in making a difference. Corporate Social Responsibility We are Section 18A certified Through 43 years of serving humanity we have built up relationships with corporates who fulfil their social responsibility through SANZAF across South Africa Click here if you require us to do a live presentation or for more information to see how your corporate, business or employee social group can help us make a difference while enjoying the tax benefits of a Section 18A certificate. We raise support for the needy! Be an ambassador of HOPE with SANZAF and join our family of volunteers all across the country. Without you we cannot continue with our many community projects, from fundraising to general work, together we make a difference! THAT poverty is a huge problem in our country is a dead given. With our visible rich-poor divides and discontent boiling over in poor areas, social stability is without doubt, a massive socio-economic challenge. In 2017, Stats SA revealed that 30.4 million South Africans lived in poverty. In a population reaching almost 60 million, it means that 55 per cent of our fellow citizens are poor. According to Oxfam, 13.8 million South Africans live in what is categorised as “extreme poverty”. In other words, they live below the 2015 demarcated line of having to survive on less than R441 per month. This has been mitigated somewhat by the social grant system, a policy measure designed to alleviate poverty that was introduced in 1998, and primarily aimed at children. Today, South Africa is proudly the only African “welfare state”, and last year nearly 18 million South Africans (nearly 30 per cent of the population) were benefiting from state grants. However, this is a 27 per cent increase from 2009 when there were 13 million recipients. Government has had to budget R567 billion for grants for the next financial year, and the implications for the fiscus are obvious, especially if jobs and the economy do not pick up in the near future. This is highlighted by the fact that there are only 7.6 million registered taxpayers in South Africa - about 13 per cent of the total population - with an estimated 1.8 per cent of those taxpayers contributing nearly 80 per cent of the taxable total. All of the above plays out profoundly in the Gini coefficient, something which measures income inequality with 0 representing perfect equality, and 1 representing perfect inequality. On average, South Africa scores at 0.6 which is dangerously high. According to Stats SA general, Pali Lehohla, it is the youth that bear the burden of poverty through unemployment, pegged nationally at about 30 per cent, but proportionately higher in sub-economic areas. “They (the youth) graduate from poverty as children into being unemployed as youth,” he says, adding that poor children are the most vulnerable, being less likely to attend school, and even if they do, doomed to performing poorly. According to Stats SA, the Western Cape and Gauteng have the least occurrences of extreme poverty, with Limpopo and the Eastern Cape having the most occurrences. However, Gauteng and the Western Cape are experiencing major challenges in dealing with rapid urbanisation and impatiently rising expectations. This places a huge strain on existing infrastructure that is already struggling to keep up with demand. Tragically, up to 30 per cent of taxable income is ferreted offshore, thus denying South Africa’s citizenship of precious resources and developmental opportunities. It is into this raging national stream that NGOs such as SANZAF venture in an attempt to build up individuals, families and communities. The ultimate aim is not merely to alleviate poverty, but to offer hope and to eradicate it. Most humanitarian organisations today have moved away from band-aid, which does not resolve the core issues. And it is against the depressing and daunting background of the above that one’s spirit is lifted by the fact that Islam, through noble Prophetic conduct and the mercy of Sacred Law, militates directly against poverty. This is something that Islamophobes spectacularly fail to see; the compassion that is demanded of Muslims in the sense that if one stomach is hungry, all stomachs must feel it, and that two per cent of one’s residual wealth has to be redistributed to the poor as an act of worship. Of course, we have to be conscious of social reality, but that does not mean to say we can’t be positive about change. We should not be put off by adversity. That was certainly the Prophetic example - where in a single generation - a nation was created and transformed through divine love into a principled power. And as Ramadan, the month of heightened awareness and peace approaches, we have to embrace the tests. There can no place for doom and despair. Towering trees have grown from a single, tiny seed into six metre giants. It is, indeed, time for us to create a forest by planting hope in the hearts of the needy. 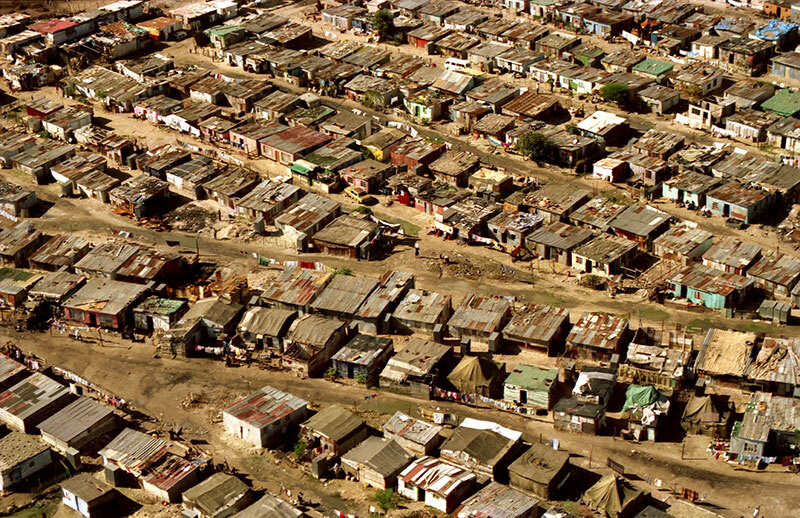 The experiences of South African Townships indicate that many social problems arise as a result of poor primary and secondary education in these areas. In low-income households, almost 50% of children under the age of six do not attend any kind of educational facility. At the same time, most ECD (Early Childhood Development) Centres in these communities are poorly resourced, under-staffed and facilities rundown. Studies show that children who attend ECD programmes have a greater chance of succeeding in school. High-quality ECD allows children to perform better - cognitively, emotionally and physically and its impact remains well into adulthood. As part of its portfolio of development projects, SANZAF supports various educational activities, including bursaries, skills development programmes, youth development, and ECD. This year SANZAF Gauteng is supporting the Kwalanga ECD Programme, situated in Kwa Thema on the East Rand. The Kwalanga Early Childhood Development Programme was initiated to give children a fighting chance by providing them with high-quality education and a place of safety. It is hoped that through the project these children will go on to succeed in primary and high school. The ECD center will play an important role in reducing the vicious cycle of poverty that plagues this community and will help to create prosperity for the community at large. The Kwalanga Early Childhood Development Centre opened in 2019 with two teachers and an intake of 30 students in the first phase of the project. Additional classrooms, an office, and a kitchen will be constructed using a system of containers specially designed for ECD centers. Ablution facilities and play equipment will also be procured. The SANZAF Eduation Waqf was established in 2009 as a sustainable resource-base to support Education projects in the Gauteng region. The waqf forms a perpetual endowment, whose earnings are designated for education in South Africa. The waqf system is traced back to the Prophet Muhammad (saw) who advised Umar (may Allah be pleased with him) to pledge a portion of land that he had acquired as a waqf. The land would remain intact, and could not be sold, while its fruits would be given as sadaqah (voluntary charity). Donations to the SANZAF Education Waqf are invested into the Waqf Fund, and its returns are disbursed, on an annual basis, to Education projects. Apart from forming a sustainable resource-base for community development, donations are a means of sadaqah jaariyah (perpetual charity) for the donor. THE other day, I was asked where the idea of Zakah came from. It was an interesting question, because the questioner was not satisfied with my answer. I realised then that we can take our pillars of faith for granted. It’s like an old granite building weathered by the years. It has always been there, so we accept it being there. Like the building, the pillars are there when we learn about Deen, so we just accept them without demur. This led to a search. I had to find an answer to the origins of Zakah. Eventually, I came across an academic paper by two Utah Valley University professors, Abdus Samad and Lowell Glen. The Qur’an, as the authors noted, was full of testimony to this. For example, in 2:83 we hear specifically that Moses was told that his people had to be just to relatives, parents, orphans and the needy, that they had to speak with clemency, perform their prayers and that they had to pay their Zakah. From this, it is clear that charity and generosity to those less fortunate has always played an important role in prophetic faith, and human history. In 600 BC, the Persian monarch, Cyrus the Great, became the first known constitutionalist. His empathy for the poor and downtrodden was recorded on clay tablets in the Akkadian language. Cyrus protected the ancient Jews, and we see the order to perform charity in Exodus, Leviticus, and Deuteronomy in the Old Testament. It is quite evident, that as one scrolls through history, that charity had pre-conditions relating to excess wealth and the cleansing of wealth on an annual or cyclical basis. What the Prophet [SAW] brought to us via the Qur’an and his Sunnah was a divine convergence of historic social awareness. In recent years global water resources have come under strain due to climate change and changes in rainfall patterns. In South Africa drought has resulted in water shortages and an increase in the cost of water. In keeping with its mission of changing lives through development and relief, SANZAF embarks on various water projects to make communities more self-reliant. Boreholes, we believe, can play an important role in harnessing untapped water resources in South Africa. Boreholes are an environmentally friendly method of accessing inactive water underneath the earth’s surface that would otherwise go unused. This year SANZAF is embarking on four new borehole projects to benefit several communities around South Africa. The boreholes will be constructed in Phoenix in KwaZulu-Natal, Strand in the Western Cape, Kwanabuthle in the Eastern Cape and KwaThema in Gauteng. 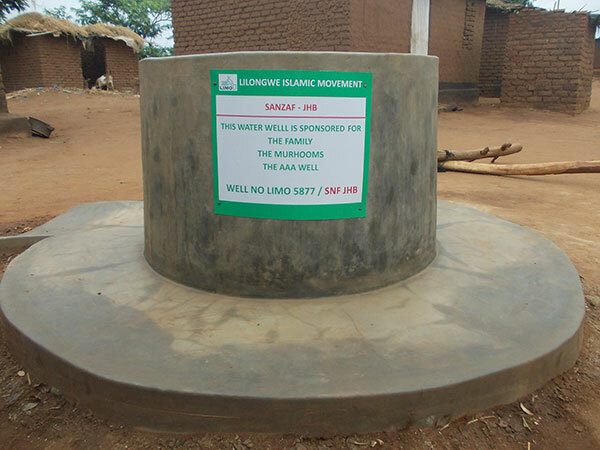 The boreholes are being constructed at Islamic centres and Masjids and will hopefully enable these centres to have permanent and reliable water sources InshaAllah. These boreholes will also save these centres the burden and expensive of municipal water. The SANZAF Water Waqf was established in 2009 as a sustainable resource-base to support Water Security projects. The waqf forms a perpetual endowment, whose earnings are designated for Water projects in South Africa. The waqf system is traced back to the Prophet Muhammad (SAW) who encouraged Uthman (RA) to purchase a water well in Madina and offer it as a gift to the residents who were previously purchasing it. The water well would remain intact, and could not be sold, while the water itself would be given as Sadaqah (voluntary charity). SANZAF offeres two water waqf programmes. The first is where a water well is dug almost immediately after the donation, typically R8,000 per water well (generally in Malawi). The second programme seeks to collect substantially more funds, up to R150,000, for the boring and establishment of a borehole in South Africa. In the latter case, unless a sufficient funds are donated at once, smaller amounts of donations are pooled until sufficient is collected. Apart from forming a sustainable resource-base for community development, donations are a means of sadaqah jaariyah (perpetual charity) for the donor. 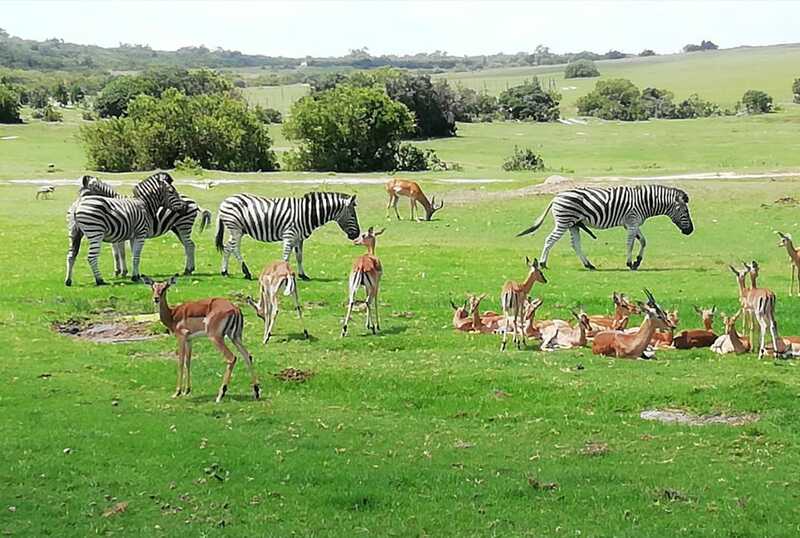 On 16 February 2019 the Port Elizabeth SANZAF office in conjunction with Kwantu Game Reserve provided 60 children an opportunity to enjoy a Safari experience at one of South Africa`s finest wildlife reserves Kwantu Game Reserve. The children were invited from Madressahs located in different residential areas within the Nelson Mandela Metro supported by the Port Elizabeth office. Namely the Al-imaad Madressah in Kwazakhele, the Jamat Khana Madressah based in Newbrighton, one Madressah from Motherwell and the Marikana Resource Centre. Other children were from The Youth of Ubuntu and the Universal Islamic Cultural Trust Madressahs respectively. The visit commenced at ten o`clock in the morning and finished at two o`clock in which the children were served with refreshments on arrival, were taken for a game drive to view and learn about wildlife, enjoy the 5 star hospitality experience and visit the animal sanctuary. In the course of their visit they received a three course meal and had an opportunity to interact and take pictures of the animals. SANZAF and Kwantu Game Reserve hosted this initiative in appreciation of Madressah children who excel in their studies and have shown commitment to their work through attendance to the Madressahs everyday of the week. This visit is one various other initiatives the SANZAF office in Port Elizabeth hosts for Madressah children to encourage and celebrate their excellence and commitment to their studies. SINCE 1994, the eve of democracy, we have become familiar with the Nguni term ‘ubuntu’. Brought into the national narrative by Archbishop Desmond Tutu, the word essentially means that ‘we are who we are through others’. In other words, we are who we are through our humanity. Indeed, ubuntu expresses the very notion of socialisation after three hundred years of colonialism, and four decades of apartheid. It means that as a diverse society, we are part of a cohesive whole. It means that if one part hurts, the other part should hurt too. Ubuntu, then, represents a world view that does not look at the colour, creed or class of a person. The president’s call, via the song of the late Hugh Masekela, ‘thumma mina’ (send me) has to be understood in the spirit of ubuntu, which is selflessness and sacrifice. It is this that empowers and enriches the human spirit. We write to you as the South African National Zakah Fund (SANZAF), a Muslim NPO that has been serving the community for 45 years. The focus of SANZAF is to execute a pillar of faith called Zakah. Zakah is the ‘purifying’ of accumulated surplus wealth. In other words, those who qualify must give 2.5 per cent annually to the poor. As a vehicle engaging with projects such as bursaries, skills training and relief, Zakah is a vital tool in eradicating poverty and positively empowering the unemployed and the underprivileged. No, Mr Honourable Minister, we are not suggesting a wealth or Zakah tax! All South Africans, despite their financial challenges, are already generous beyond measure. 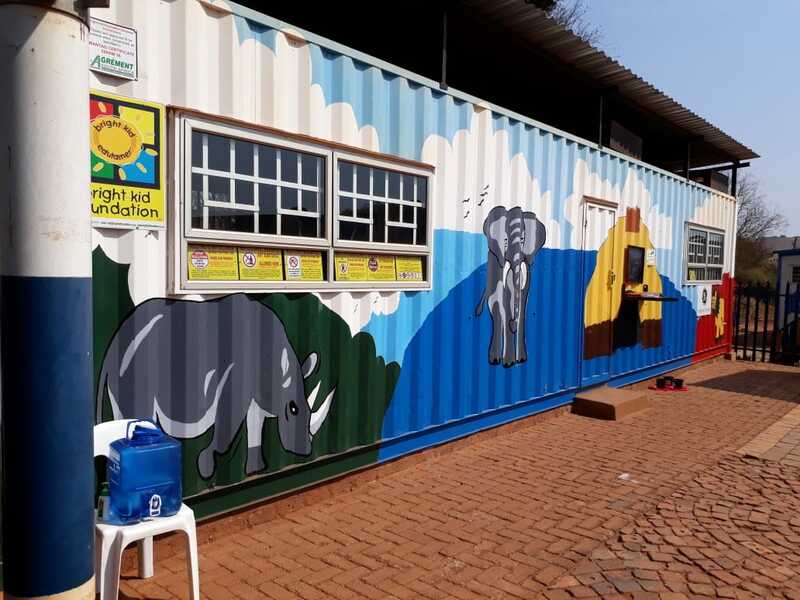 A recent study by the Charities Aid Foundation (CAF) has revealed that in 2018 a staggering 80 per cent of South Africans had donated money to some worthy cause. Mr Honourable Minister, we know that your budget is going to be a massive task in defining the country’s fiscus. We also know that you will be talking about investment. However, we would like to humbly suggest that you spend some of your time looking at human investment. So often, we do not acknowledge the riches at our disposal, which is our human capital. Young people in South Africa, in particular, need to be recognised. Their ideas, their out-of-the-box dynamism and their energies must be harnessed. Mr Honourable Minister, SANZAF started out in 1974 as a response to urgent welfare needs in the Muslim community, needs that the apartheid state had refused to meet. Pertinently, it was established by the Muslim Youth Movement. It was through youthful vision that SANZAF was formed. In the 1970s SANZAF had to push its one and only vehicle to get it started, but last year it was able to distribute R133 million in bursaries, skills training, upliftment programmes and humanitarian relief from offices in every major centre of the country. Again, our message is not about saying we are better than anybody. No. It is all about focusing on the nascent skills, the ambition, the dreams and the aspirations of all South Africans, especially the youth. So how exactly do we invest in human capital? We have found that our bursary scheme – which disbursed nearly R28 million last year – is a starting point for transforming society, as are all other study schemes, if properly monitored. Indeed, it was Madiba who said in 2003 that education was the most powerful weapon we could use to change the world. We have discovered that the socio-economic impact of a bursary is profound. When beneficiaries qualify, and contribute to the economy through their newly acquired skills, they immediately lift those around them out of poverty. Mr Honourable Minister, our experience tells us that job-focused, skills-based education has the potential to transform society, and our economy, in a single generation. However, for it to be effective there have to be enabling conditions. The youthful entrepreneur, who is the future of South Africa, has to be able face the challenges. In this light, we support the president’s focus in SONA on inclusive growth, incubation programmes, development nodes and technically empowering youth in township and rural areas. But government has to play its additional part via incentives, a prompt payment culture, accessible loans and less red-tape. To quote John Dludlu of the Small Business Institute, we have to invest in human capital because we cannot afford hopelessness to become a national crisis. We simply cannot afford any more lost generations. Climate change patterns and the global financial crisis of the last decade have negatively impacted global food security. The Food and Agriculture Organization (FAO) contends that as many as 204 million people in sub-Saharan Africa, including South Africa are undernourished. These adverse conditions leave many ordinary South Africans struggling to meet their basic needs. Inadequate food and poor nutrition in turn leads to stunted development, illness and the inability to work. In keeping with its mission of changing lives through development and relief, SANZAF embarks on several projects to combat food insecurity. In the Gauteng region SANZAF currently supports two community-based farms. Smallholder farmers, we believe can play an important role in fighting hunger and creating opportunities for employment in South Africa. Smallholder and subsistence farms can increase food supply in communities, and consequently improve food security and nutrition. This year SANZAF is embarking on a new project in partnership with the Winterveld Shurah. The Shurah is in the process of establishing a community orchard that will serve to create opportunities for employment as well as provide access to high-quality fresh produce. SANZAF will contribute 200 mature litchi trees in February 2019. Prior to the planting, the land will be prepared, an irrigation system installed and community members will be trained to manage and care for the trees. The SANZAF Tree Waqf was established in 2009 as a sustainable resource-base to support Agriculture projects in the Gauteng region. 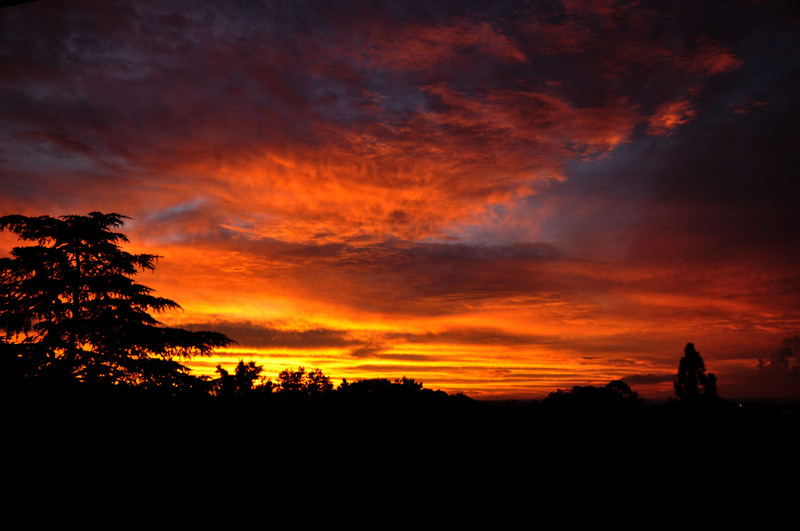 The waqf forms a perpetual endowment, whose earnings are designated for agriculture in South Africa. The waqf system is traced back to the Prophet Muhammad (saw) who advised Umar (may Allah be pleased with him) to pledge a portion of land that he had acquired as a waqf. The land would remain intact, and could not be sold, while its fruits would be given as sadaqah (voluntary charity). 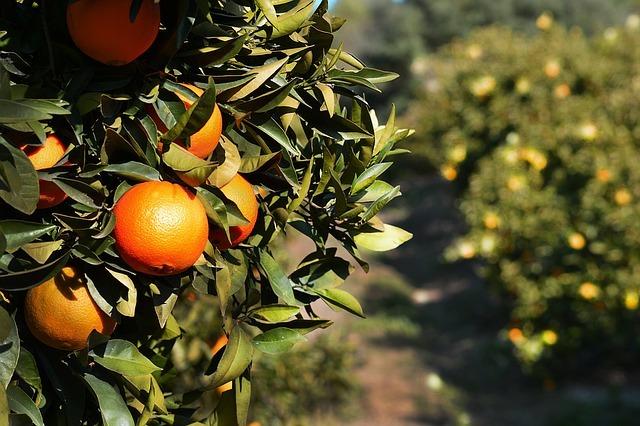 Donations to the SANZAF Tree Waqf are invested into the Waqf Fund, and its returns are disbursed, on an annual basis, to agriculture projects. Apart from forming a sustainable resource-base for community development, donations are a means of sadaqah jaariyah (perpetual charity) for the donor. You can make a financial difference for those in need and give them HOPE. The true foundation of hope is the good that we do in this life.